Rain Man UK Tour - Book Tickets! Rain Man UK Tour – Book Tickets! Bill Kenwright presents the Rain Man UK Tour starring Paul Nicholls and Chris Fountain adapted by Dan Gordon. When self-centred salesman Charlie Babbitt discovers that he has a long-lost older brother, Raymond, who has inherited the family multimillion dollar fortune, he sets out to get ‘his half’. Raymond is an autistic savant, has a remarkable memory and a genius for numbers. Determined to get his hands on the money, Charlie ‘borrows’ Raymond from the institution where he has spent most of his life. As the two brothers embark on a trip across America, Charlie soon discovers that Raymond is worth more than he could have ever imagined. Following a successful first year, Rain Man extends its run into 2019 with Paul Nicholls starring as Raymond Babbit opposite Chris Fountain as Charlie Babbit. Rain Man will be directed by Jonathn O’Boyle This House (UK Tour), Pippin (Hope Mill Theatre / Southwark Playhouse) and Hair (Hope Mill Theatre / The Vaults). Following previously acclaimed adaptations of films for the stage such as The Exorcist, A Few Good Men, The Shawshank Redemption and Twelve Angry Men this will be the premiere production in a brand new series under the Classic Screen to Stage Company. 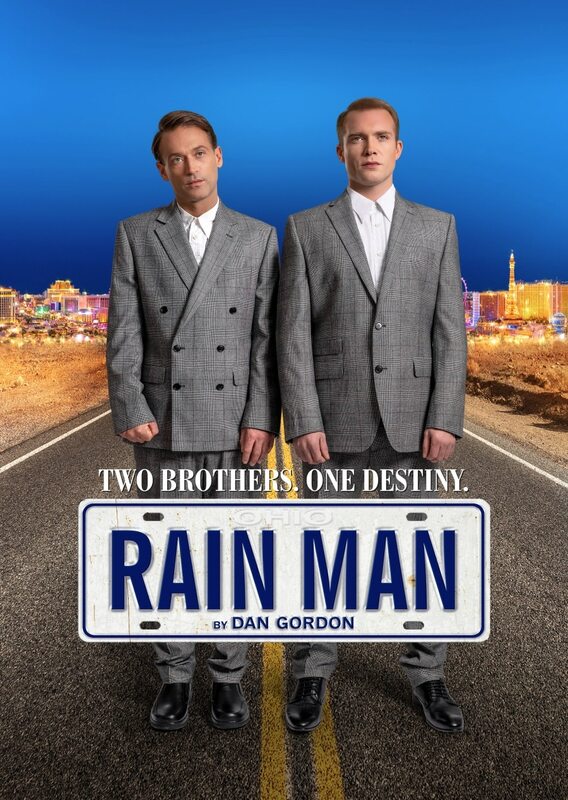 Rain Man is adapted for the stage by Dan Gordon and presented by Bill Kenwright.